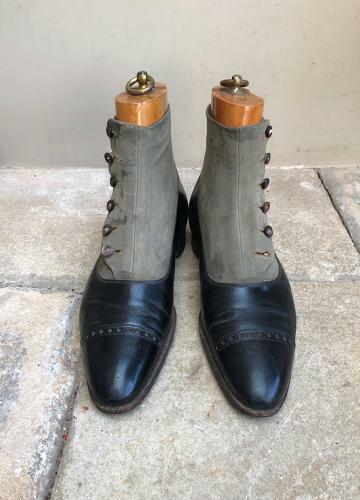 Edwardian Leather Shoes with their Original Treen Shoe Trees. Wonderfully decorative in remarkable condition...one button missing only on the left shoe. The shoe trees are marked Left and Right with brass loop pulls.